In addition to being Autism Awareness Month, this April has also been designated as World Landscape Architecture Month. The month-long event celebrates landscape architecture and the work its professionals do to design public and private spaces. 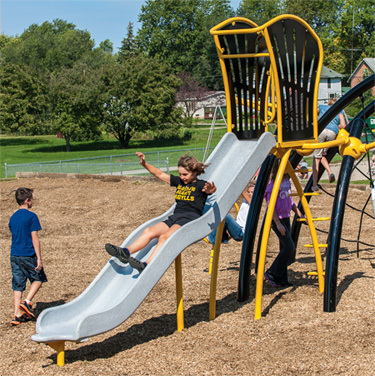 We’re proud to be able to work with landscape architects to create innovative playground designs. Whether it’s a curvy, sprawling design of playground nets, an environment that teaches kids about the history of their community, or a themed playground that sends kids on an adventure in their imagination, playgrounds designed by landscape architects become spaces that welcome individuals of all ages, abilities and cultures. We love the result of collaborating with landscape architects, but their designs go way beyond parks and playgrounds. See projects “Designed By A Landscape Architect” by following #wlam2015 on social media, then visit asla.org to learn more about World Landscape Architecture Month and the landscape architecture profession. 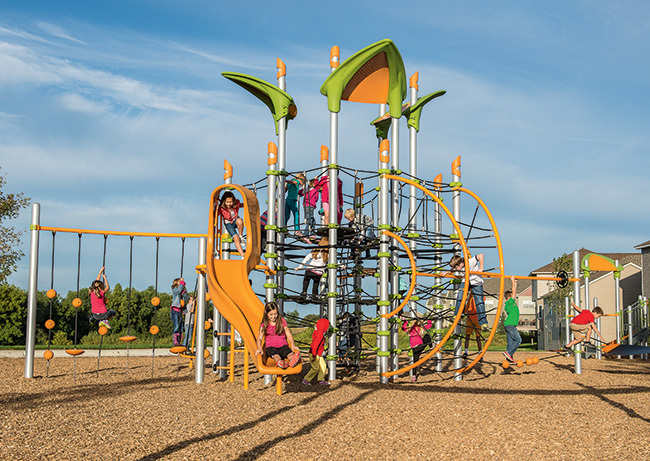 Earlier this year, we introduced Netplex™, a new net-based playstructure that challenges kids with an experience completely different from those offered by typical play structures. 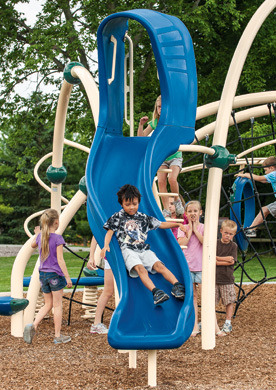 Climbing cables have been a popular playground material, and we’ve used them in many of our playstructures for more than 10 years. 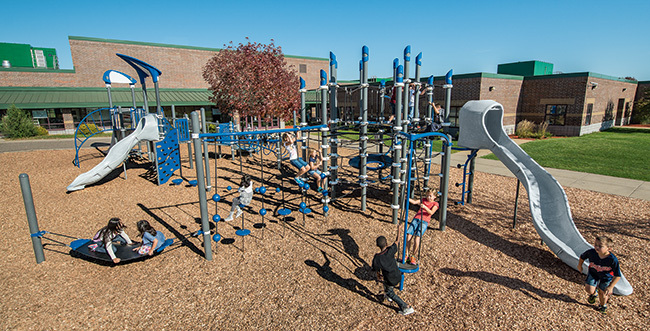 Now, using our patent-pending clamping system, Netplex takes a seemingly unbroken length of cable from the inner core of the playstructure to the outer posts and all the way around. Netplex offers kids the challenge needed for healthy development into self-assured adults. The net-based playstructure challenges kids’ balance, motor planning and strategic thinking skills and gives the opportunity for graduated challenge—kids will stay low to the ground on more secure cables at first, and when they’ve mastered that they challenge themselves by going higher and engage new muscles. Learn more about Netplex here, and see it in action in the video below.